The Tanzania Communications Regulatory Authority (TCRA) has issued a license to the nation’s first Mobile Virtual Network Operator (MVNO) to embrace new innovations and developments in the Information, Communication and Telecommunication (ICT) sector to serve the rural areas. 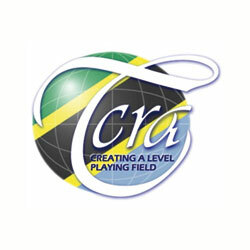 The license award ceremony was held recently at the TCRA head office in Dar Es Salaam. TCRA has issued the license to a new company called Mkulima African Telecommunication Company (MTC) Limited which is the first MVNO in Tanzania and will trade under the brand name African Mobile Operators Telecom (AMOTEL). According to AMOTEL’s Chief Executive Officer, Dr. Sinda Hussein’s speech to local media “MVNO business model is a recent phenomenon in African telecom markets, however it is growing faster especially in mature telecom markets in many developing countries”. The Chairman of the governing board of AMOTEL, Prof. Robert Mabele, said at the ceremony that the company plans to officially start operations this year. The Director General of TCRA Prof. John Nkoma said at the ceremony that “the initiative is to serve rural communities and emphasized on the importance of ICT in socio-economic development of rural areas”. Prof. Nkoma cautioned the new company that telecom industry in Tanzania has reached a turning point characterized by stiff competition and hence advised the new actors in the industry to abide by the rules, regulations and guidelines issued by TCRA. Tanzania’s current mobile operators include Airtel, Benson Informatics, Sasatel, Tigo, Tanzania Telecommunications Company Ltd (TTCL), Vodacom Tanzania and ZanTel.